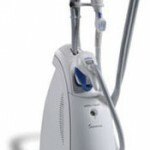 The affordable and portable Rohrer Aesthetics Phoenix 15-CO2 delivers powerful laser light and heat that helps improve skin regeneration while smoothing fine lines and wrinkles and reducing areas of hyper pigmentation. 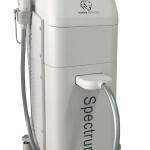 The Rohrer Aesthetics Spectrum Laser/IPL is a powerful and incredibly portable laser and IPL system in one. 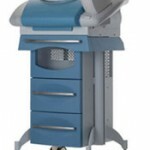 Offering 4 different lasers and an IPL in one convenient platform, the system can be used for a variety of cosmetic procedures, including skin resurfacing, tattoo removal, removal of pigmented lesions, vascular reduction, hair removal and more. 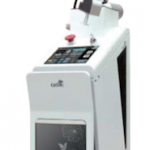 The Hoya Con Bio MedLite II laser system is one of the most effective options in the cosmetic laser machine market when it comes to removing multi-color tattoos. With its two wavelength options, the Hoya Con Bio MedLite II can effectively remove both highly pigmented red inks and stubborn blue and black inks. 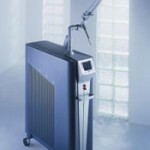 The Fraxel SR750 is an economical option if you are looking for a quality fractional laser that can handle skin resurfacing and a variety of other skin-related treatments. 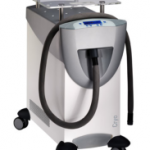 The Fraxel SR1500 is a cost-efficient cosmetic laser for skin resurfacing that provides fast and effective results with less patient downtime and discomfort. 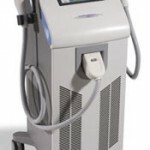 The Fraxel Re:pair system is fractional CO2 laser that provides a range of skin treatments with less downtime and less discomfort compared to other systems. 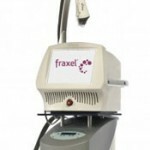 The Fraxel Re:store cosmetic system is a versatile machine for skin rejuvenation and skin resurfacing that is gentler than most other comparable models for similar treatments. 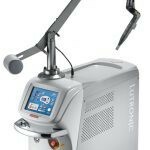 The Fraxel Re:fine system is an excellent non-ablative machine for skin rejuvenation and the treatment of pigmented lesions that provides exceptional patient comfort and operator-friendly features. 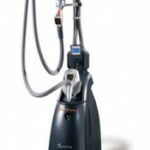 The Syneron Comet system is an effective machine for laser hair removal, and it can be used on virtually all skin types and hair colors, including colors that other machines cannot treat. 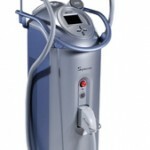 The Syneron Galaxy is an aesthetic skin treatment laser that can handle everything from hair removal to acne treatment to wrinkle reduction and more. It features Syneron’s elōs technology for maximum performance. 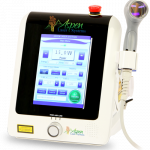 The Syneron eLight system is specially designed for a variety of facial treatments and it uses the patented elōs technology to deliver results that many other systems simply cannot. 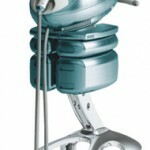 The Syneron VelaSmooth is a non-surgical system that is approved by the FDA for cellulite reduction. 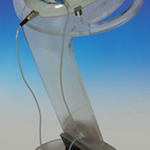 It uses both infrared light and radio frequency to produce fast results with virtually no patient discomfort. 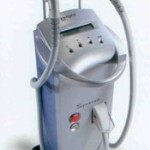 The Syneron LipoLite system is a laser-assisted lipolysis machine powered by a 1064 Nd:YAG laser. At just 44 pounds, it is easy to move and store virtually anywhere. 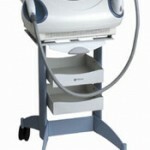 The Syneron VelaShape II is a non-invasive cosmetic system that provides body contouring for a wide range of areas. 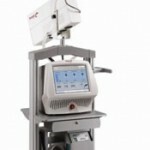 This system is an excellent partner for a laser-assisted lipolysis machine. 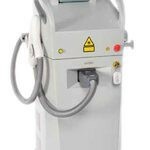 The Syneron eLaser system is one of the most effective laser hair removal systems on the market today, and it can also be used for many other aesthetic applications including wrinkle reduction and skin rejuvenation. 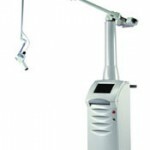 The Syneron eMax laser is a versatile and expandable system that can perform a wide range of aesthetic procedures and it features the advanced elōs technology for maximum results with increased speed. 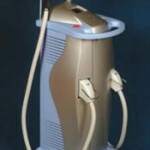 The Palomar MediLux is an IPL system for laser hair removal and a variety of other aesthetic treatments. 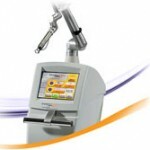 It is a very affordable machine that produces results comparable to more expensive systems. 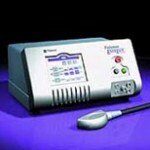 The Palomar SINON system is fast and effective at removing tattoos and treating a variety of pigmented lesions. 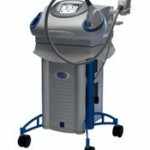 It features a Ruby laser for maximum results with all tattoo colors. The Palomar SlimLipo system offers two wavelengths that make it one of the most effective and efficient models you can buy for laser assisted lipolysis and body contouring. 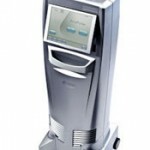 The Palomar EsteLux is an IPL system is an effective hair removal system that can also effectively treat acne and vascular and pigmented lesions, and it is available at a very affordable price. 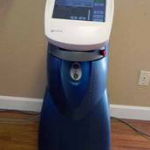 The Palomar StarLux 500 cosmetic laser system is an affordable option if you are looking for a compact, versatile and powerful system that offers both laser and IPL light therapy. If you are looking for an affordable alternative to the Palomar StarLux 500 system, then the StarLux 300 is an excellent option. This system is compact, versatile and easy to use. 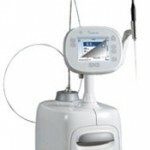 The Lumenis UltraPulse Fractional CO2 laser can be used for everything from small spot microblative treatments larger spot treatments of scars and wrinkles. It features 240W of power, more than six times that of comparable systems. 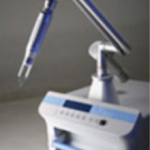 The Lumenis AcuPulse system is a top of the line fractional laser system that goes beyond what most conventional continuous wave systems can do. 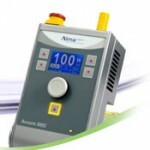 In fact, it is up to six times more powerful than many other fractional systems. 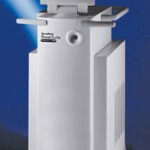 The Lumenis One system is perhaps the most powerful and versatile cosmetic laser system you can buy. 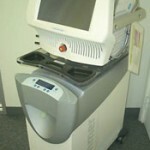 It includes more than 1,500 pre-programmed treatment functions for all kinds of cosmetic procedures. 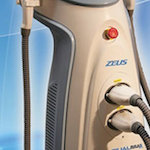 The Lumenis LightSheer is a portable and compact laser hair removal system that is available in a variety of configurations depending on your needs. 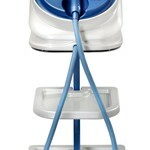 It plugs into a standard electrical outlet and weighs just 60 pounds. 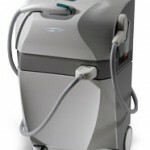 The Lumenis IPL Quantum is one of the most versatile skin treatment lasers you can buy. 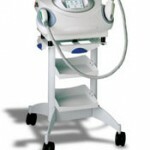 It is available in a variety of configurations and can be expanded and customized for a variety of uses. 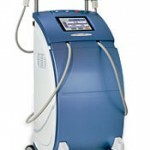 The Alma Accent 980 laser is one of the best systems available for laser-assisted lipolysis and it has earned very high marks for results that rival traditional liposuction but without the typical bruising, pain and downtime. 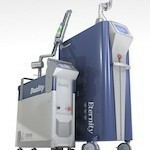 This cosmetic laser machine is also surprisingly affordable. 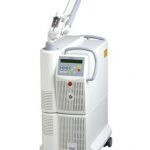 A refurbished Alma Pixel CO2 laser machine is an excellent option for a cosmetic procedure facility that is looking to expand and start providing fractional laser treatments. This model treats a variety of conditions, including skin rejuvenation and skin tightening with only minimal patient downtime. 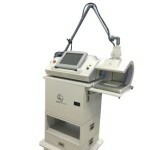 Alma has taken things to the next level with the Alma Accent Ultra laser system. 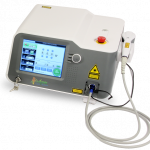 This laser-assisted lipolysis machine can remove fat tissue with virtually no pain and without an invasive procedure, as is required with traditional liposuction machines. 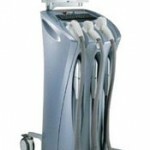 The Alma Soprano laser system is an exceptionally affordable machine that can quickly and safely be used for laser hair removal on all skin types. It is also very cost effective to operate because it uses no disposables. 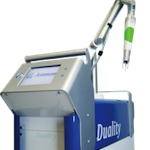 If you are looking for one of the most versatile cosmetic laser machines on the market today, the Alma Harmony system is an obvious choice. 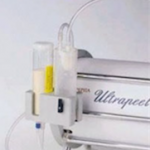 This system can handle more than 60 different aesthetic and clinical applications, and it is easy portable between treatment rooms. One of the best cosmetic machines available for non-invasive treatment of wrinkles and skin tightening is the Alma Accent system. 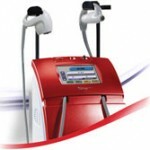 Using the exclusive dual-layer thermotherapy, this system offers Bi-Polar and UniPolar radio frequency modes. 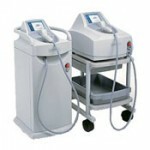 With a unique combination of both light and topical delivery, the Aesthera Isolaz Pro laser system is a versatile system for the treatment of acne, hair removal, skin rejuvenation and more. 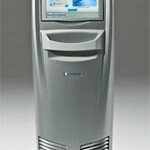 It offers a swivel touch screen display that will help an operator treat patients faster and more efficiently. 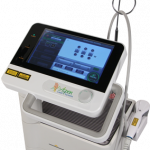 Approved by the FDA for the treatment of pustular and comedonal acne, the Aesthera Isolaz laser system is the only laser or light-based system that has been cleared for that use. 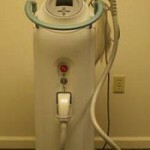 It can also perform hair removal, treat vascular lesions, do deep pore cleansing and more. 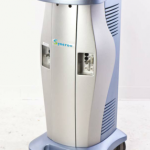 Featuring the unique Photopneumatic Technology, the Aesthera PPx+ laser system is as versatile as it is powerful. This model offers an exceptional array of safety and comfort features and it produces impressive results that are virtually pain-free.